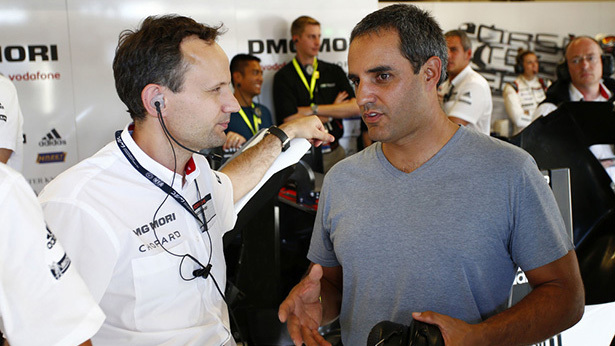 Juan Pablo Montoya has been ruled out of making his debut in the 24 Hours of Le Mans next year, according to Porsche LMP1 team principal Andreas Seidl. 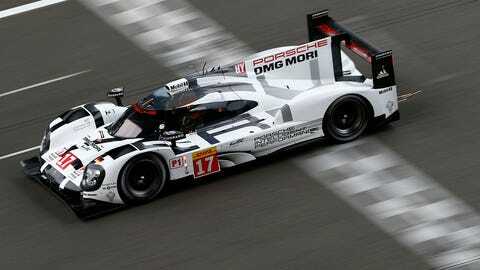 Montoya was confirmed to test the Porsche 919 Hybrid next month in Bahrain, prompting speculation the Colombian could be in line to replace Nico Hulkenberg in the third factory LMP1 entry at Le Mans in 2016. However, despite the open weekend on the IndyCar schedule, a Le Mans-only assault for Montoya isn’t on the cards, with the focus on the test instead being on possibilities for 2017 and beyond. Instead, Porsche could fill Hulkenberg’s seat with one of three drivers it will be evaluating next month in a separate test in Barcelona, which will see Kevin Magnussen, Oliver Turvey and Mitch Evans get seat time in the German prototype. “We saw that our test program allows that we test some new drivers just to see how these guys perform,” Seidl explained. “At the moment, as everybody knows, Nico is not available for the third car, which might give a potential seat available for next year. Seidl spoke highly of both 2014 Le Mans LMP2 class winner Turvey, as well as former McLaren F1 driver Magnussen, who is targeting a move to the sports car racing ranks. “In the end, I looked with my guys into all kind of categories that are around,” he said. “[Oliver] Turvey was simply interesting what we did the last two years in Le Mans, especially in 2014 when he came in late to replace Marc Gene. “I think he had a great showing, as well as this year. In addition, he did Super GT this year, which is also good practice for this kind of racing. “It’s the same thing with [Kevin] Magnussen. He’s an interesting driver for sure in what he did in the past. Seidl said that all options remain a possibility to fill the seat in the third LMP1 entry alongside Earl Bamber and Nick Tandy, including fellow Porsche factory GT drivers they tested last year. “We have a pretty good overview of all the guys we tested last year from the GT class. So it’s all open,” he said. He also hasn’t completely ruled out the return of Hulkenberg, should there be a change in the F1 calendar prior to the team needing to finalize its lineup, which is expected to come in mid-December.